This week’s roundup is inspired by the bohemian bride, a laid-back beauty. 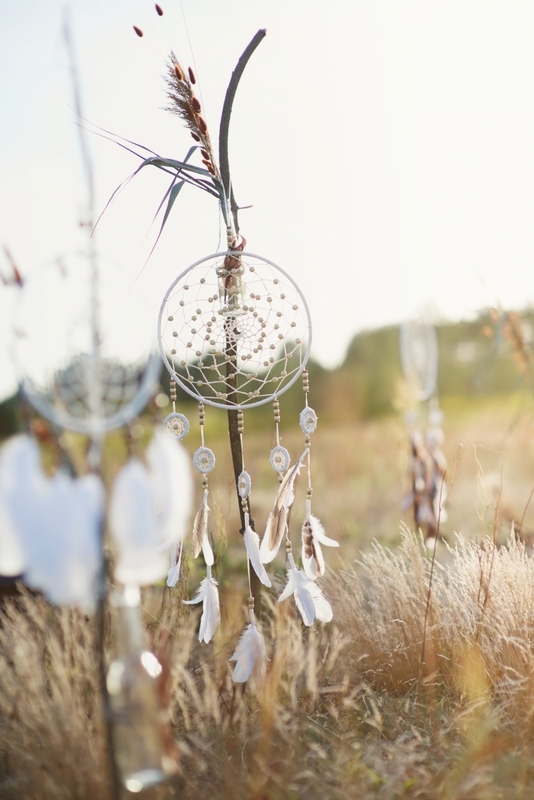 We're currently loving breezy silk fabrics, simple designs, flowing floral bridesmaid dresses, jeweled headpieces and, of course, the occasional dream catcher. Perfect for an outdoor summer wedding, we're featuring designs by Israeli designer Zahavit Tshuba, Australian designer Anna Campbell, and US based designers Katie May and Leanne Marshall to make all of your bohemian daydreams come true. 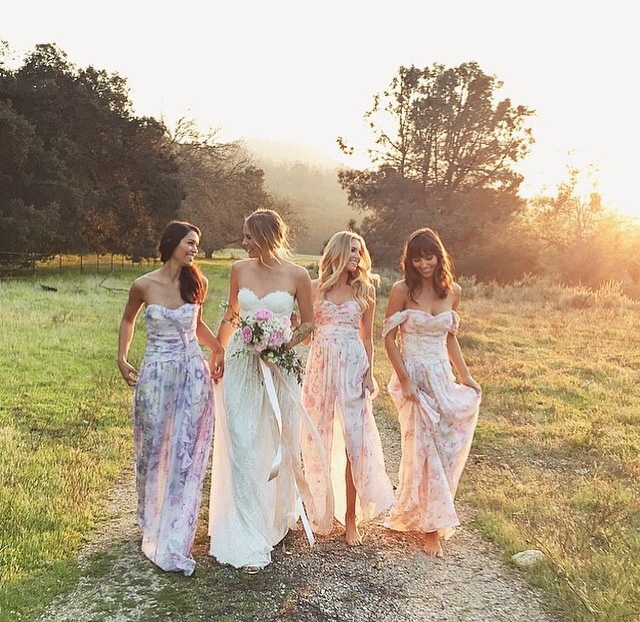 We are obsessing over Plum Pretty Sugar’s feminine bridesmaid dresses for the perfectly bohemian bridal party. Mismatched bridesmaid dresses are currently on-trend, so pick a color palette and let your bridesmaids select their dresses individually to represent their own personal style. When selecting accessories for your bohemian wedding day look, keep it simple and organic. If you're looking for a finishing touch, we'd suggest a vintage-inspired jeweled headpiece, floral crown or sparkly headband. If you choose to wear a veil, a single layer elbow length or cathedral veil is the perfect way to frame your gown without drawing too much attention. 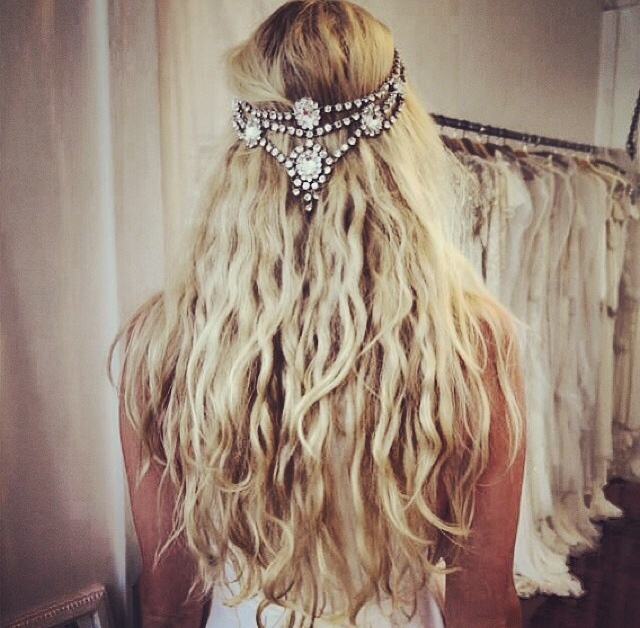 Should you choose to forgo the veil, (or if you decide to take it off at your reception), we recommend adorning your beachy waves with a vintage crystal headpiece. Sleek and structured, this season’s newest gowns make a modern statement. Free-spirited, boho gowns hit all the right notes. Halloween is the perfect time for all things dark and glam.